Dogs with CCL injuries can benefit from a variety of alternative therapies. Among them is platelet rich plasma (PRP) treatment. Similar in concept to stem cell therapy and perhaps a bit like prolotherapy, PRP treatment takes the blood of a canine patient, processes it, and re-injects it into the body. PRP is a part of the blood that contains a higher concentration of platelets than in the whole blood, as well as growth factors. As the name suggests, growth factors encourage proliferation of healthy cells, and reduce the expression of inflammatory proteins. The idea is that the body’s natural healing response is enhanced by delivering a high concentration of growth factors to the site of injury. PRP treatment has been used in humans for a variety of orthopedic conditions, and is most often used in dogs for tendon/ligament injuries and osteoarthritis. PRP is good for dogs with joint injuries too old to undergo surgery, as a complementary therapy with surgery, and as an alternative treatment for surgery. The treatment is considered less invasive, safer, and more cost-effective than other treatments. Further studies have found that PRP can be combined with cold laser therapy for greater benefits, though this relationship has not been evaluated at length yet. More good news is that PRP can be a solid option for dogs in various conditions. There aren’t many precautions or limitations to worry about, though the patient does need to be off anti-inflammatory medication for at least one week prior to the treatment. 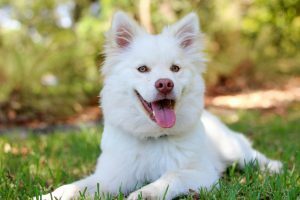 Your dog may experience minor discomfort after the procedure, and restricted activity for a short period afterwards may be suggested, but there are few other side effects. Patients often see benefits after a few days, lasting up to a year. One downside to PRP is that not many veterinarians are fully trained or equipped to perform the procedure. Check with your local vet for more information and to see if PRP might be an option for your dog.